This contest is a collaboration between Hermo and BigCast. Hermo is the #1 online beauty store in Malaysia while BigCast is the first 100% FAT* influencer marketing platform here. Q1. Do you actively post on IG or FB? Q2: Do you have at least 1,000 followers? Q3: Do you like beauty products? If your answer is YES to all 3 questions above, read on! This contest is a collaboration between Hermo and BigCast. Hermo is the #1 online beauty store in Malaysia while BigCast is the 1st 100% FAT* influencer marketing platform here. Contest Title: What is on your wish list @ Hermo? Read steps below on how to enrol before you start posting! #4. Check Contest details, start posting! You must follow all steps above to enter and stand a chance of winning, watch out to especially step 5 above! Good luck! 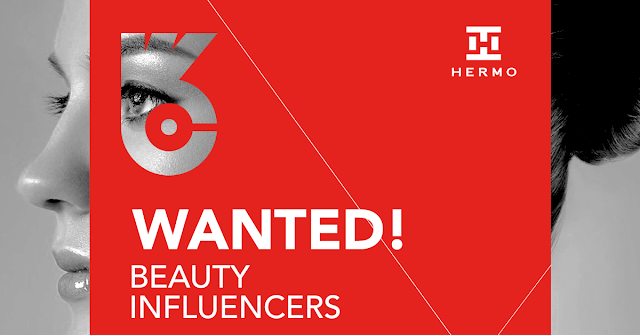 BigCast Blog: Beauty influencers wanted! What is on your wish list @ Hermo?